Avi-Cakes - For Small Birds - 8 oz. 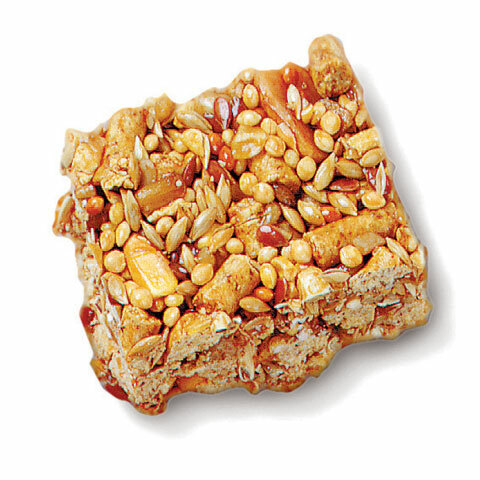 Avi-Cakes - For Small Birds - 8 oz. 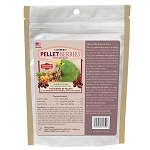 Home > Food & Treats > Parrot Food Blends > Lafeber > Avi-Cakes - For Small Birds - 8 oz. Avi-Cakes - For Small Birds - 8 oz. 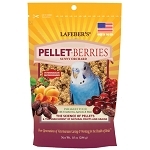 Lafeber's AviCakes for parakeets, cockatiels, lovebirds and conures is a nutritious bird food developed to stop birds from just eating seeds. Avi-Cakes are half seed and half pellets, a healthy alternative to loose seed and bound by sweet molasses. Avi- Cakes are now Omega 3 & 6 fatty acids balanced. Balanced omega 3 & 6Æ’? ?s also improves the quality of the skin. 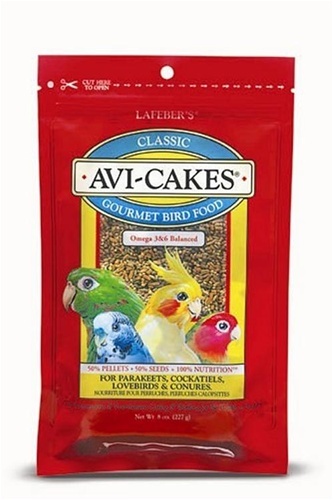 More than ever, Avi-Cakes provide excellent nutrition for your loved feathered companion. My umbrella cockatoo loves these, we sit together and he munches his Avicake while I eat. The price here is the best. I found these are great for traveling with birds. You can put a cake in their travel cage or carrier bowl and they have access to tasty and nutritious meal without the mess of birdseed or pellets spilling all over everything. It doesn't hurt that my budgie and my green-cheeked conure love it! When we're at home, it become a treat I can dole out in small pinches. These Avi-Cakes are different than the ones that contain berries. They're softer and appear chewier. Both of our parakeets seem to enjoy working for the seeds in the chunks we give them.